Next time your credit or debit card expires and your bank sends you a new one, check out if there is a small wi-fi symbol, somewhere on the front of the card. This wi-fi symbol signifies that your card—credit or debit—is a contactless card. In simple words, you don’t need to swipe it every time you make a purchase. Mumbai-based Soham Shah, 28, was in for a surprise. Earlier this year, she bought groceries worth Rs 1,700 at a department store. To his surprise, the person at the billing counter didn’t swipe or dip his card in his machine. Nor did he ask for his personal identification number (PIN). The cashier merely tapped his card at the terminal and the transaction went through. “At first, I was confused as to how the payment went through,” recollects Shah. But Shah and scores of customers who have now been using contactless cards wonder if they’re really safe. Let’s take a look. How does a contactless card work? A contactless card is a quick way to pay using debit and credit for purchases under Rs 2,000 at the stores. This limit is fixed by the Reserve Bank of India. All such credit or debit cards, irrespective of which bank issues them, comes with the same limit. These cards contain a chip and an antenna to identify radio frequency from the terminal. When a customer taps the card against a contactless-enabled terminal (within four centimetres of the card reader), the encrypted card and PIN details get transferred wirelessly from the card to the terminal and payment gets processed. 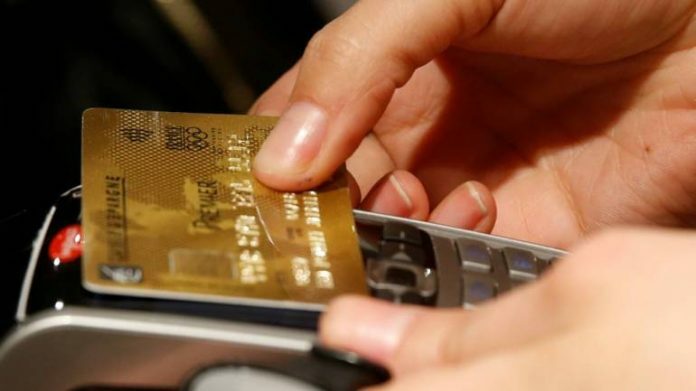 It is also essential that the shop’s swipe device is enabled with a technology called ‘near-field communication’ to be able to process your card with just a tap. If both are enabled, all transactions under Rs 2,000 go through with just a tap; no PIN required. However, if the transaction amount is more than Rs 2,000 per swipe, then you will have to use these cards similar to a regular debit or credit card. The shop keeper has to dip it or swipe it and you will be required to enter your PIN. If contactless cards are stolen, then there’s a good chance your money gets stolen more easily as compared to those cards that require a PIN. All the thief needs to do is swipe your card and money is deducted; he doesn’t need to enter the PIN or authenticate the identity. A small ray of hope, if you call it that; the number of contactless transaction on your card are limited per day. Each of these cards also come with insurance. The lost card liability cover is up to 100 percent, though not all cards insure losses up to 100 percent. Check how much losses your own card insures. But, ensure you report the loss of your card to the bank immediately on realising the same and block it. You should file a first information report (FIR) with the police and get an acknowledgement for the complaint. You need to send an email from registered id to the bank with card details, account number, date of loss along with a copy of the FIR. You need to report the loss of card/fraudulent transactions in the stipulated time frame of the banks to be entitled to lost card liability cover. The bad news here is that customers cannot reduce the limit for contactless transaction below Rs 2,000 as that’s the RBI decided limit. Banks also cannot disable the contactless feature on these cards for transactions below Rs 2,000. Now, banks are giving the contactless card to customers as a replacement once your present card matures. So, the number of customers using the contactless card is also on the rise. Don’t be careless while using a contactless card. For instance, avoid giving your contactless card to an attendant at a restaurant while you go for dining with your family/friends for billing. They might do multiple transactions without your knowledge below Rs 2,000 since PIN is not required. Navin Chandani, Chief Business Development Officer, BankBazaar.com adds, “Review your credit card statement every month and raise a query with the bank in case of any fraudulent transaction on your card.” Avoid carrying multiple cards if not using them often.